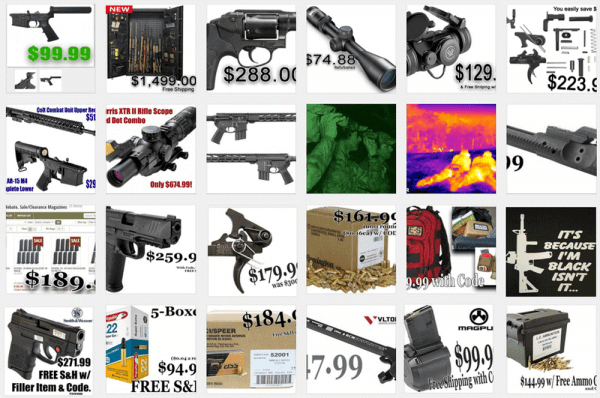 USA – -(Ammoland.com)- Here is a deal you cannot pass up on, 1000rds of American Eagle 5.56mm 62gr FMJ Steel Core Ammo and ten more Magpul PMAGs! This is another rebate deal from Palmetto State Armory for Federal ammunition. To make the deal even better Palmetto State Armory has a sale on American Eagle 5.56mm 62gr FMJ Steel Core Ammunition & Ten Magpul PMAG 30 round magazines on sale for just $349.99 or $299.99 after mail-in rebate. This price gets you down to $0.29 per round & ten free PMAGs which is pretty cheap! To get this deal working you need to purchase the package online at PSA and pay $349.99 at check out then go to the rebate link below and apply for the additional pre-paid credit card. The PMAG 30 AR/M4 GEN M2 MOE is a 30-round 5.56×45 NATO (.223 Remington) AR15/M4 compatible magazine that offers a cost competitive upgrade from the aluminum USGI. It features an impact resistant polymer construction, easy to disassemble design with a flared floorplate for positive magazine extraction, resilient stainless steel spring for corrosion resistance, and an anti-tilt, self-lubricating follower for increased reliability. Federal Freedom Fuel Promotion R10064 Rebate Details: More info online. The ad on your article/website indicated 62 grain, 1000 rounds and 10 mags 299.00 after mail in rebate when you pay 349.00 at checkout. That being said I paid the 30.00 shipping to get a still decent deal. However. I will no longer trust the ads and not change my original rule of never making online purchases ever again. Tried 3 times to checkout and it is not giving free shipping. Only option is ground for $29.50. The ad said 62 grain. Go back and look at the top of the page again.